Well that didn't quite go to plan did it? Mother Nature really showed us who is boss on Saturday. We had just finished registration and setting up breakfast when the sky opened. However, the BGSR committee were blown away (almost literally haha) by the number of you who turned up in the terrible conditions to compete, learn more and say 'Hi'! Even after we all ran to the Pavillion, lots of you stayed around to continue chatting. This is what the club is all about. A big thank you to all those who helped prepare for the day. A special mention to Shaakira Belle for the fabulous breakfast; Abi Davey, John Rich and Brenda Miley for managing our new digital system; Jacki Jameson, Titilia Latianara, Karin Sowada for working through the registrations on the day; and Michelle Granger the rest of the committee for making our newbies feel so welcome. Bondi Girls take on the South! 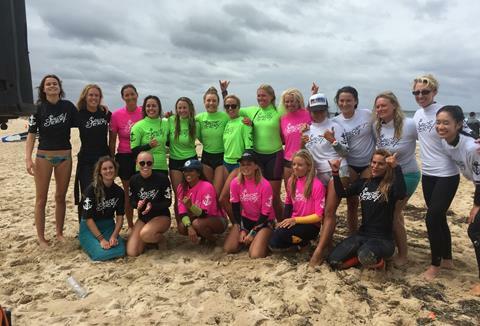 Our Advanced surfers performed brilliantly at the Sailor Jerry's SurfTag, taking out 2nd and 4th positions. The organisers said it was an 'amazing vibe with great sportsmanship'. 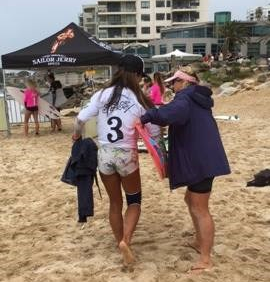 A big thank you to the amazing Brenda Milley for coaching our girls into the final! 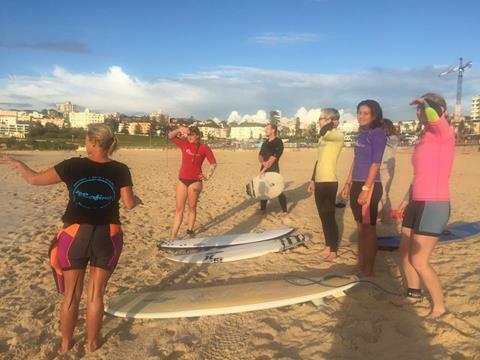 Thanks to Brenda and Let's Go Surfing for hosting the club 'intro' session last Thursday! What a nice bunch of ladies turned up. Shame the glorious sunshine didn't last until Saturday! Join some of your fellow BGSR'ers at the Ocean Film festival, a series of short films about our second home. If you haven't seen it before, it's mind-blowing. Grab a ticket! Monday 13th March. Join Brenda and the crew at Let's Go Surfing to celebrate International Woman's Day. They will be holding beach games AND breakfast on Wednesday March 8th at 6:30am. To those lovely ladies signed up for beginners coaching this Saturday, unfortunately we have to rearrange to a later date. The surf is forecast to be huge and messy. #nofun. #dangerous. We will be in touch later in the month with a new date. 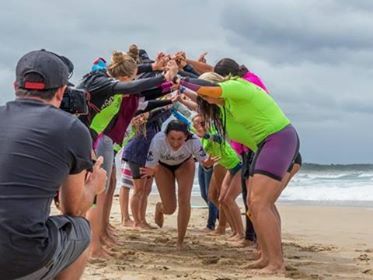 Let's Go Surfing's generosity doesn't stop with our beginners! The rest of you have a chance to get some free tips also... Thanks LGS! Received this eNewletter from a friend?